MOUNT DESERT — Works from the hearts and hands of scores of gifted artists and craftspeople are among the dozens of items slated to be auctioned off to help protect and preserve Acadia National Park during the 29th Annual Friends of Acadia Benefit on Saturday, August. 11 at the Asticou Inn in Northeast Harbor. 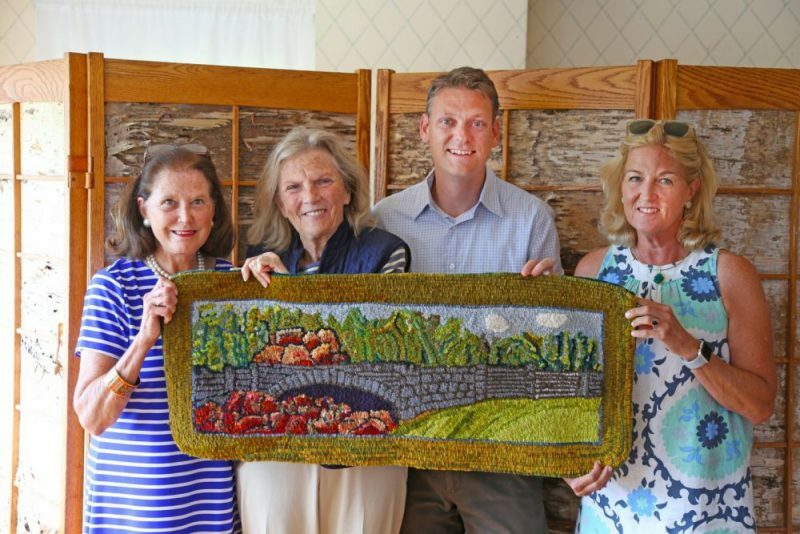 Two custom-crafted, hand-made quilts have also been donated to the auction this year. They include Mary Clark’s “Turquoise and Toile, featuring an intricate blue-ribbon pattern on a white, Italian toile backing, and Linda Brennerman’s “Storm at Sea,” with a dynamic pattern of blues and white evocative of the ocean. Jewelry and sculptural work by Pat Toogood, Ken Perrin, Maggie Kelley, Lisa Hall, Julie Havener, Monica Davis, Sharon Broom, Sawm Shaw, Linda Perrin and Ingrid Neuman are among the offerings. A New York City Art Walk and lunch, and a tour of chainsaw sculptor Emilie Brzezinski’s studio in Northern Virginia, along with lunch, are among the experiences being offered. In the travel and adventure categories items include a custom, personal legacy film by director Peter Logue, a private dinner for 10 at Abel’s Lobster Pound, a sea-going excursion for 75 to Isle Au Haut, cruises and picnics aboard historic local vessels, carriage ride picnics, Red Sox and Yankees tickets, pottery, guided trips and even retired Acadia trail signs. Bicycles, kayaks, a pair of paddleboards, furniture, hand-blown glassware, scarfs and handbags will also be auctioned off.